-He had previously served as a US Representative, US Senator, and Governor of Virginia. 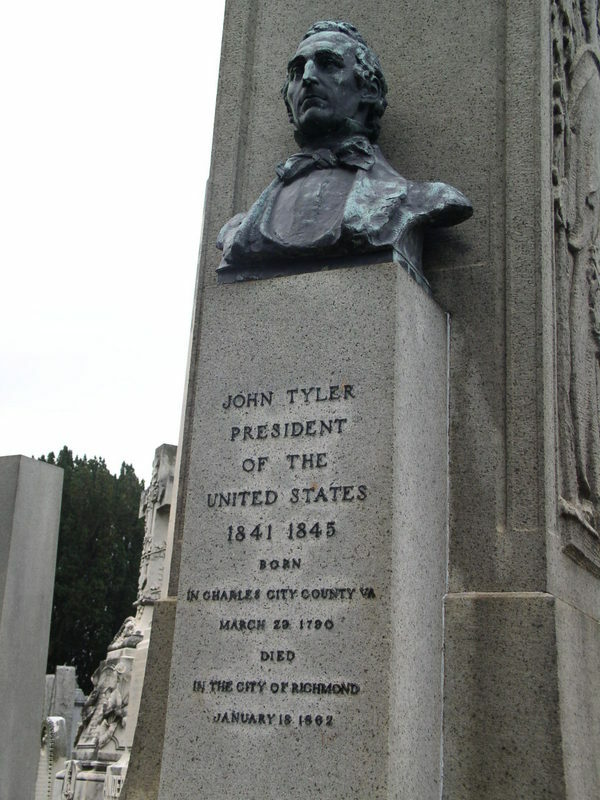 He is the only person to become President after serving as President pro tempore of the Senate. -He was never elected to the Presidency. 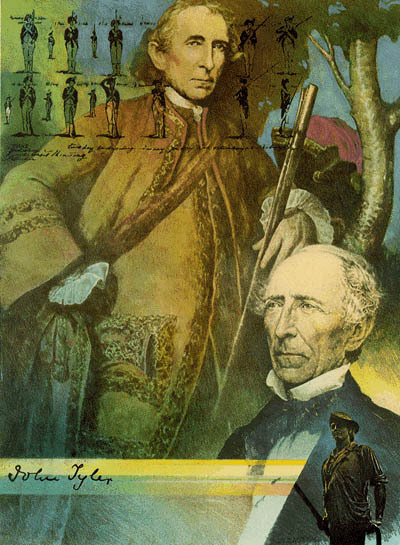 After replacing Harrison, he became an Independent. Without a party to to support him in the 1844 election, he was forced to create his own. 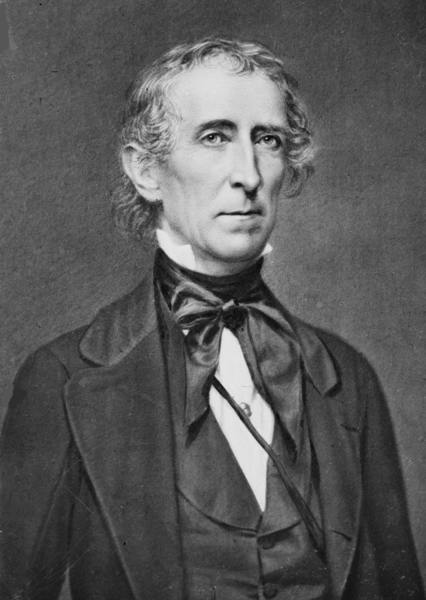 It was unsuccessful, and he eventually withdrew from the race and gave his support to James Polk. Polk would go on to win the election. -The norm of the Vice-President replacing the President was established with Tyler. However, it wasn’t law until 1967 with the 25th Amendment. (A full 126 years later) Some never accepted his ascension to the office, and referred to him as “His Accidency”. -He was a leading activist for the annexation of Texas. He wanted support for his new party, and thought Texas would be the place to get it from. His mistake was making John C. Calhoun the Sec. of State. He was a major supporter of slavery and wanted Texas admitted as a slave state. 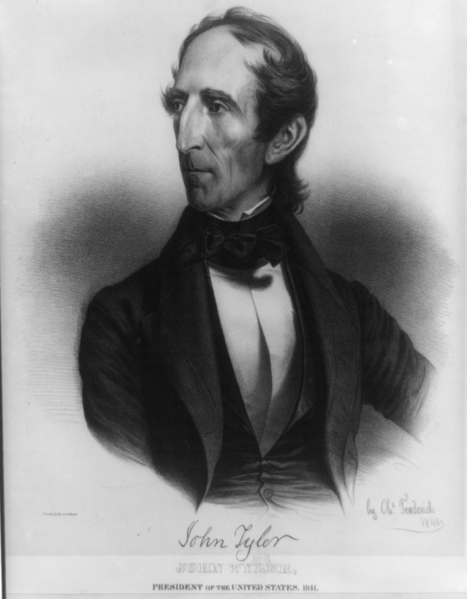 Calhoun also led all responsibilities that went along with admitting Texas to the union. This move made Tyler unpopular, even with those who supported him. 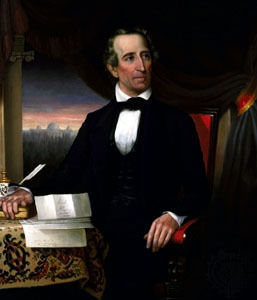 The annexation was rejected, until Polk won the election and Tyler had three days left in his Presidency. He also supported the annexation of Hawaii, but this wouldn’t happen for almost another 50 years in 1898. -Another major issue Tyler dealt with was the Dorr Rebellion in Rhode Island. 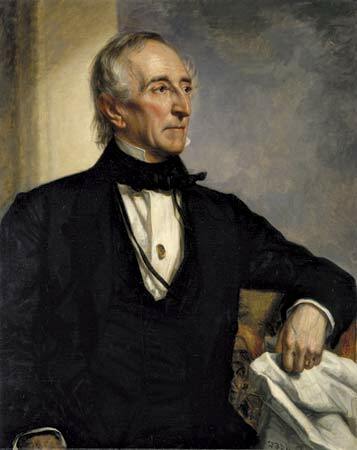 Thomas Dorr argued that Rhode Island’s right to vote was unconstitutional, because people were required to have large amounts of land that more than 60% of men in the state did not have. Dorr actually enlisted some men to attack the state’s arsenal, but their mission failed. Rhode Island eventually wrote a new constitution, but not after arresting Dorr. Ultimately, Dorr was tried for treason against the state and given life in jail wiuth solitary confinement and hard labor. The sentence was later removed, however. -John Quincy Adams, then a Congressman, led an unsuccessful attempt to impeach Tyler after vetoing a tariff bill. Adams though Tyler was vetoing too often and tried to remove him on the grounds of abusing his power. It failed. But it was the first time the process of impeachment had been used. When he was first informed of Harrison’s death, Tyler was on his hands and knees – playing marbles.